OLIVIA MIXED RING is the ultimate combo ring to all of my rings. She is stackable if you want many and just as adorable if you want it minimalistic. 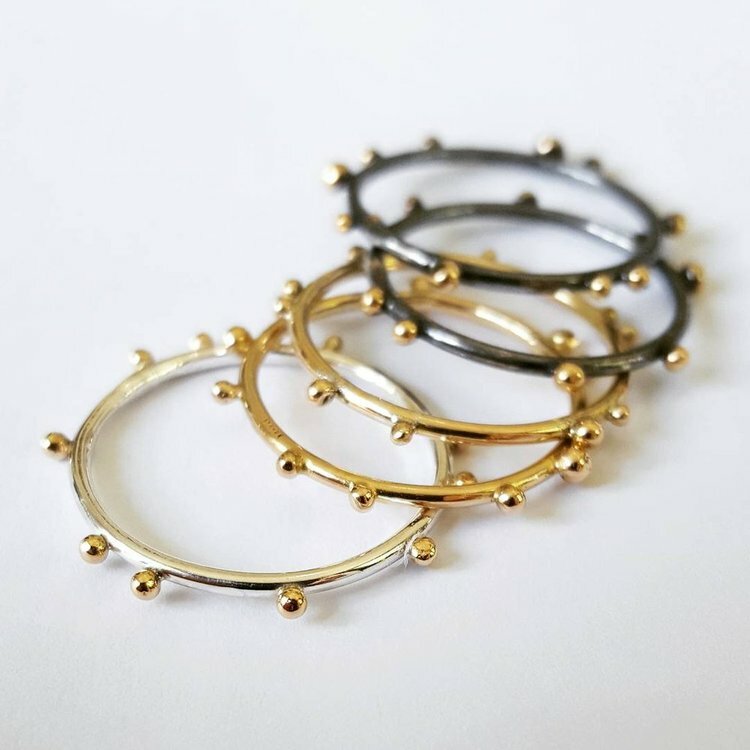 Handmade in sterling silver and 18k golden dots.